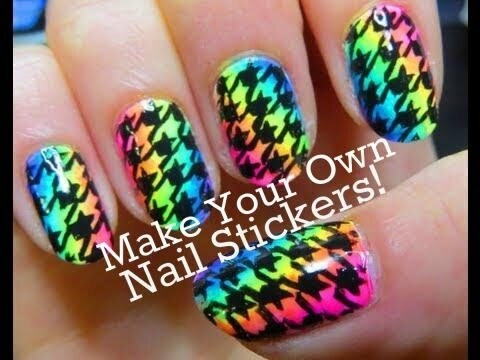 Decorated nails are the same! Change the enameling weekly, add personality to your hand and are always fun. Changed a detail in design, changes everything. And are not difficult to use. 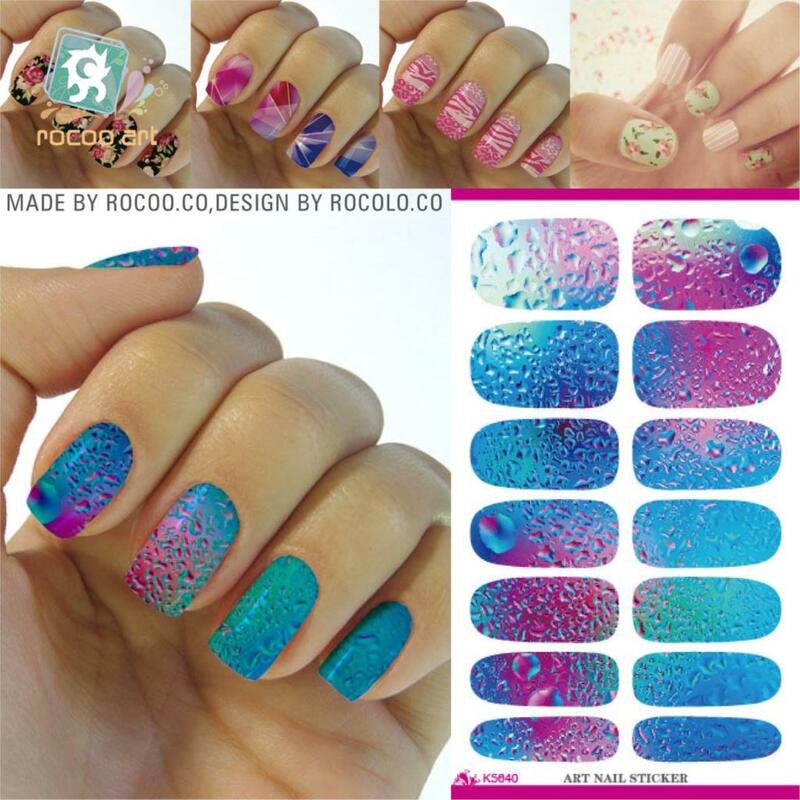 You can buy ready to nail products in stores or online, but you can also do in house and choose the desired pattern. And you can do quite a lot at home, did you? 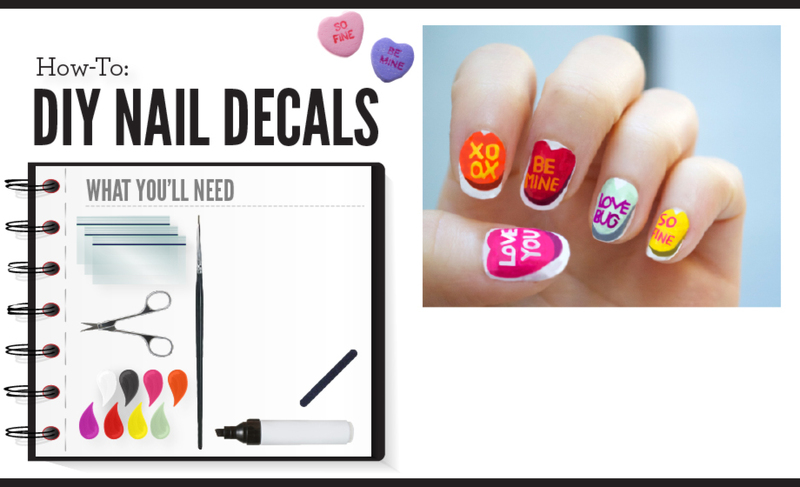 Here are some ways to create stickers for nails at home. To make the template, you can create art in an image editing program like Corel’s Drawn or Photoshop. More simply, use the well known text editor, Word in any version, or the Br Office if you use this software free. Open a file and put rectangles. 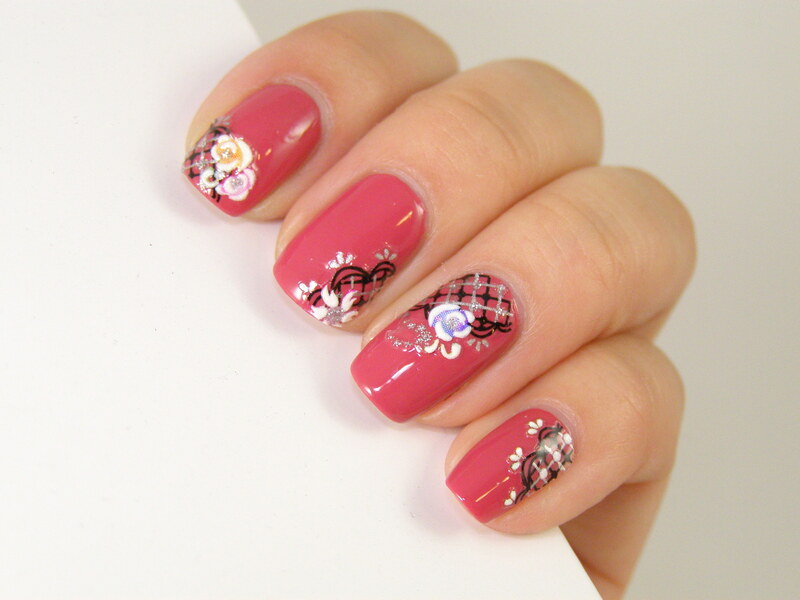 The first rectangle must have 2 cm x 1.5 cm, the measure of a fingernail lightly. 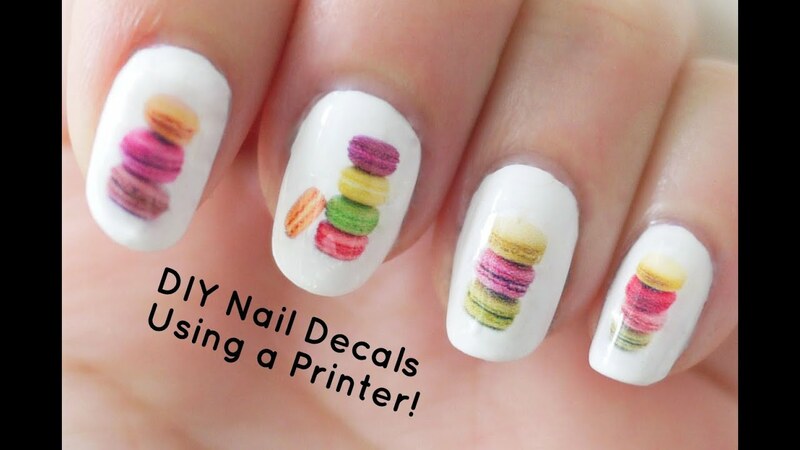 If your nail is less, it’s just adjusting. After making the first of these measures is only playing in 10 groups page. 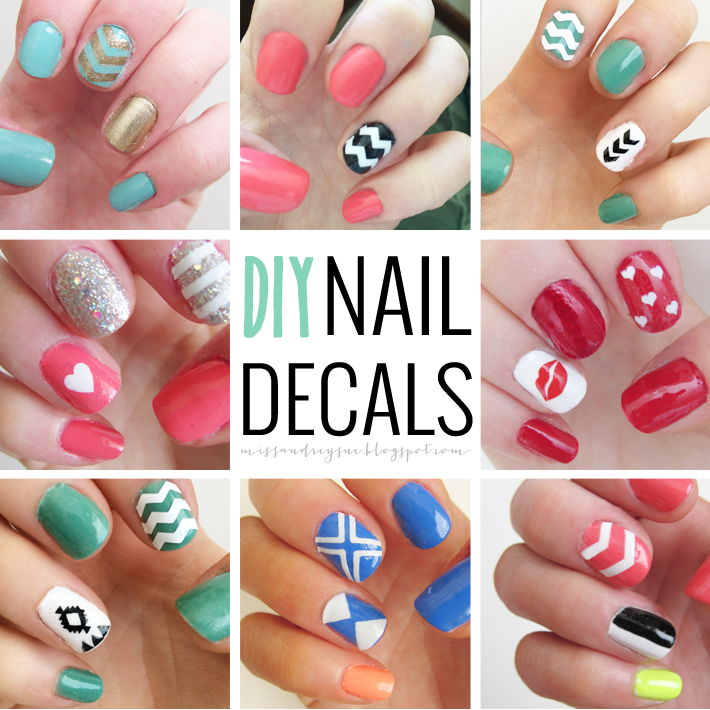 Each will represent a group of stickers for nails of hand. Click inside the rectangle and then go on the Insert and place the desired figure. You can do a search by a variety of designs to change your decor. It can be graphics, animals, flowers, whatever you want. Save on your computer and search for it when you click ‘insert image’ and ready, place inside each square its pattern. You will print two sheets. A only the squares, with nothing on bond paper. 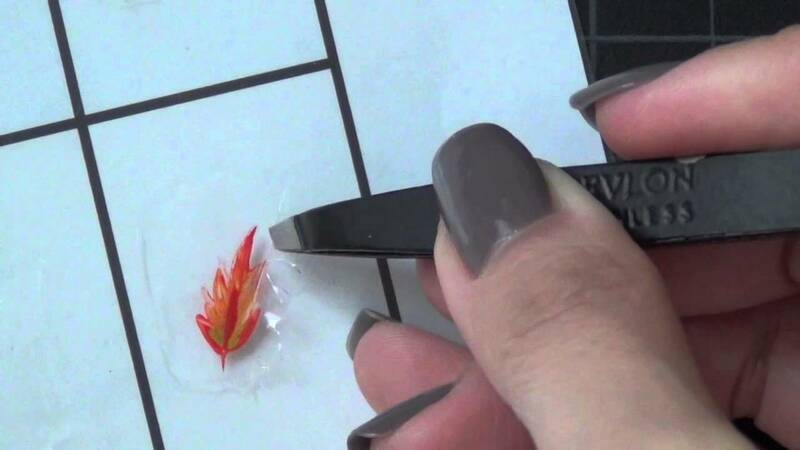 The second after inserting drawings in foil paper in l. glue the leaf designs on another and pass the basis to create the shiny effect and ready. 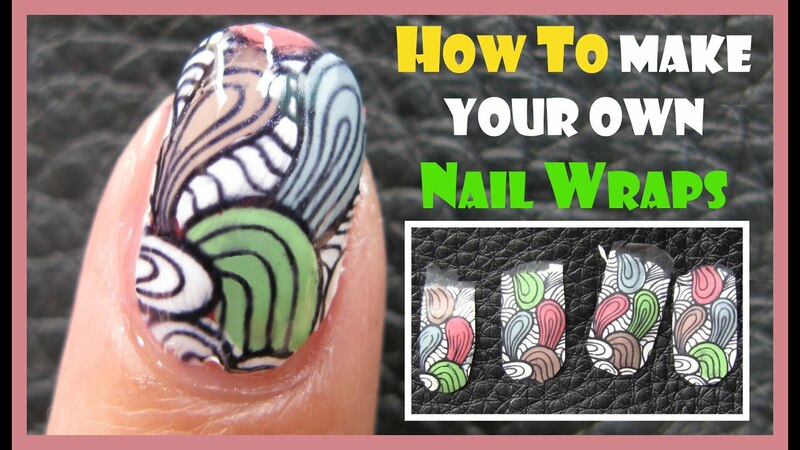 Then just apply based on the nail, let dry and your nail is already decorated. 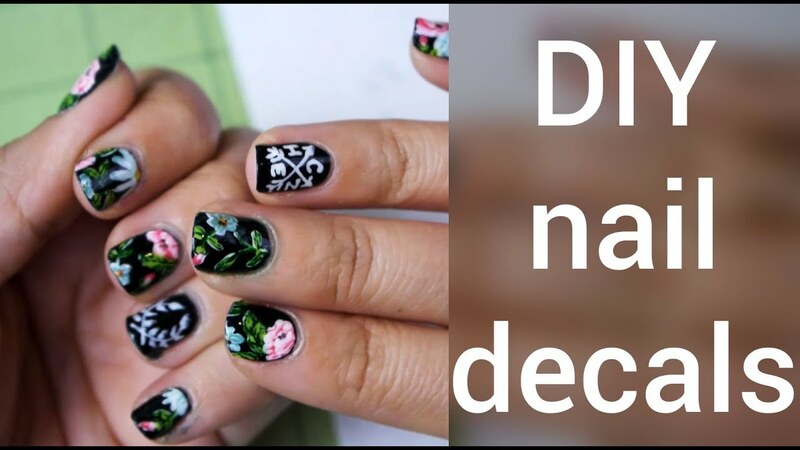 You can end with a glitter enamel or enamel with glitter to make the nail last longer, but usually have patches last a lot. Open the box and use only the portion inside metalized, thickest and silver color. 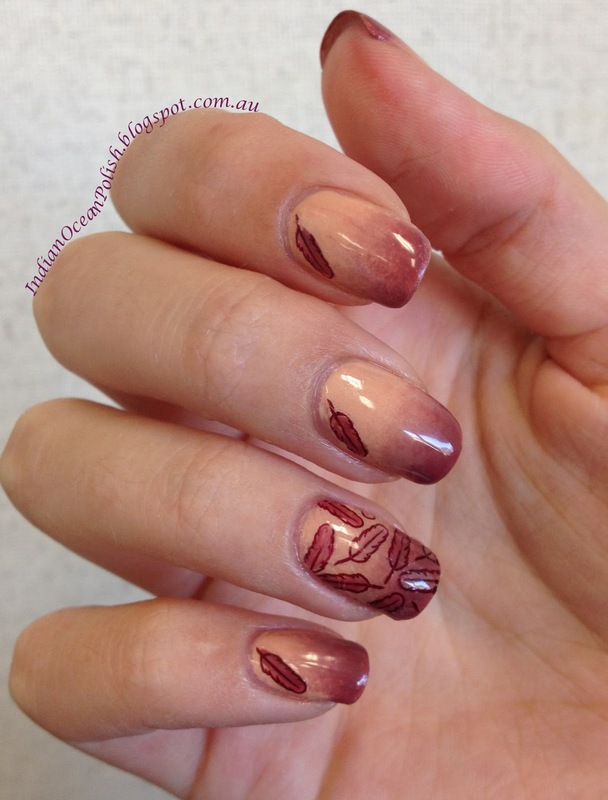 Draw with a pen in the shape of your nails.Then cut into formats. Now place two layers or more base for nail and let it dry until it forms a thick layer of enamel. Stay on the edge of his designs. 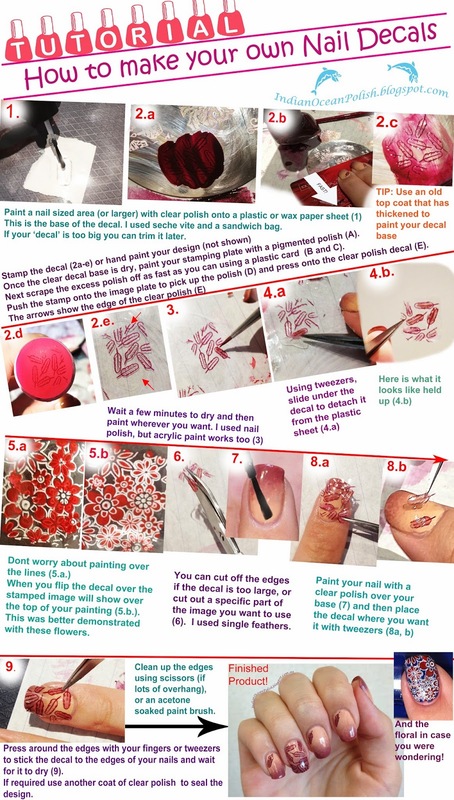 Paint each piece with your desired nail art. 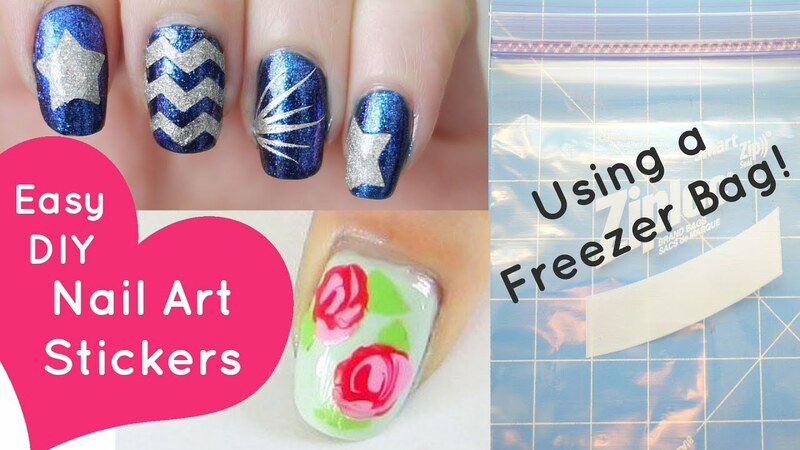 You can use brushes for nail design to create an art without errors. Wait to dry and pass two coats of top coat, the brand you wish to finalize the art. Art dry, just remove the top layer of laminated base, which must come tight. It may be necessary to use the tip of a fingernail clippers to make the firm still art and not break or breaks. 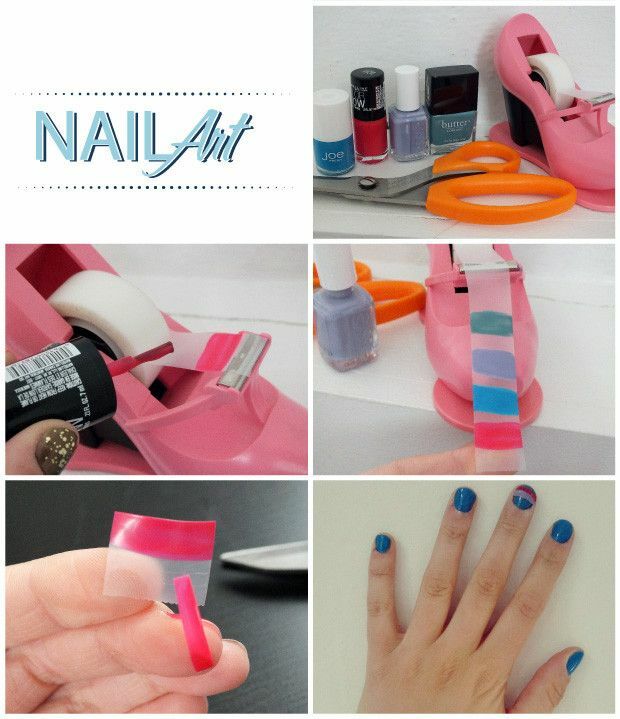 Okay, you have an adhesive to the nail and can apply the nail with the help of base. 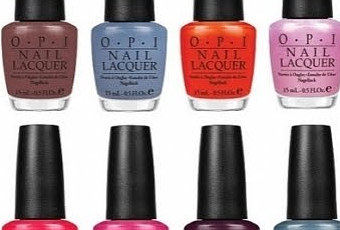 For decoration last longer, apply two or more coats of nail polish with glitter discreet. It preserves not only the decoration as the details of the design. 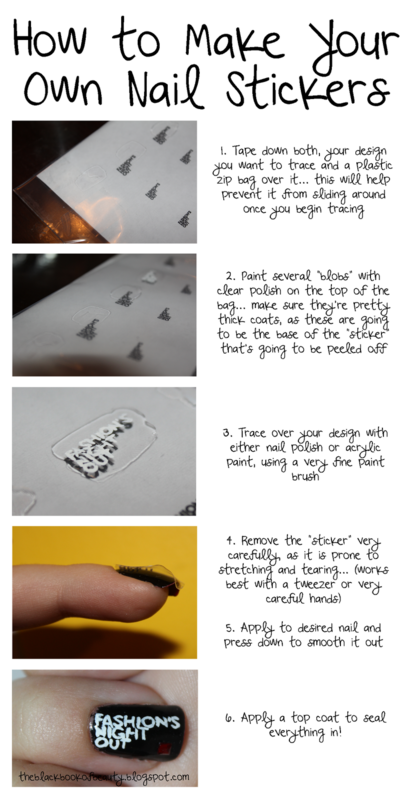 Black Book of Beauty: How to Make Your Own Nail Stickers!